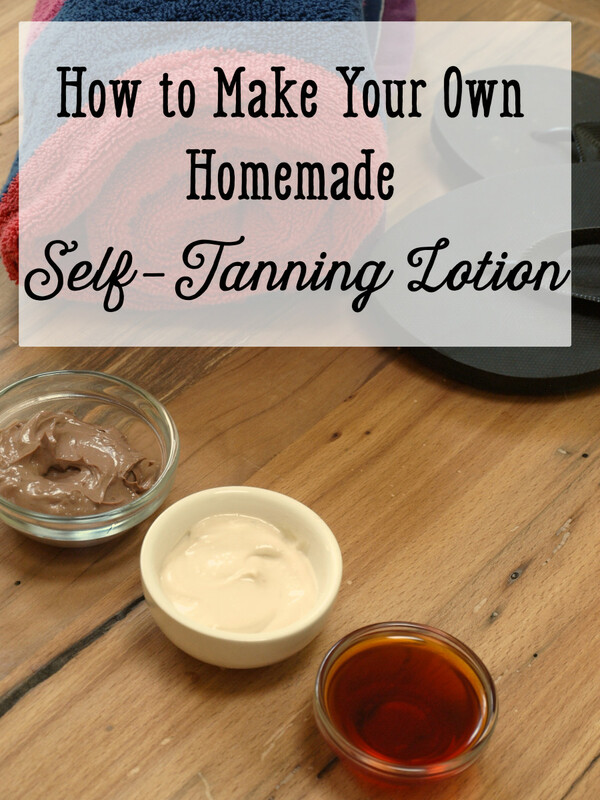 Trying to have radiant skin really does not need to be difficult or expensive. 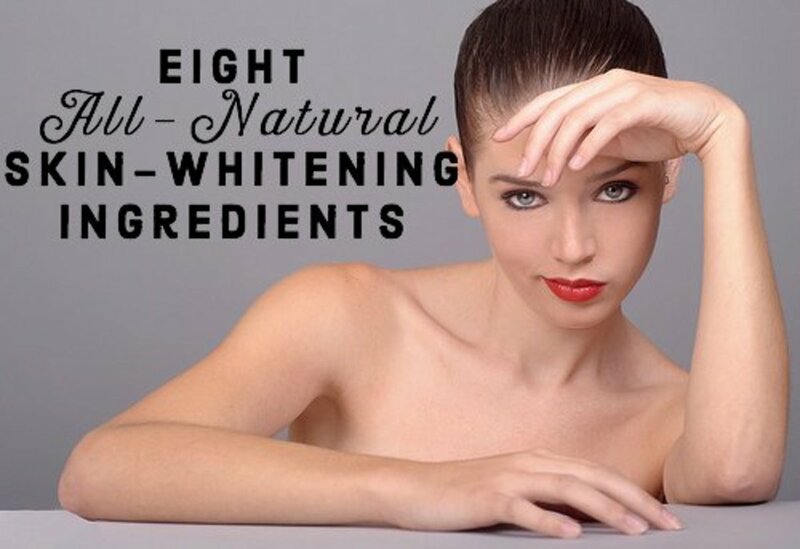 I am sure that the majority of you already know the basic things that we need to do daily to maintain good skin (i.e. cleanse, tone and moisturize). However, these daily rituals would not be very effective if we were using the wrong products for our various skin types. I attended a talk once by a dermatologist working at the National Skin Centre and she provided some great tips as well as insights into the products that are widely available in the market and how we can match the right products to our different skin types. 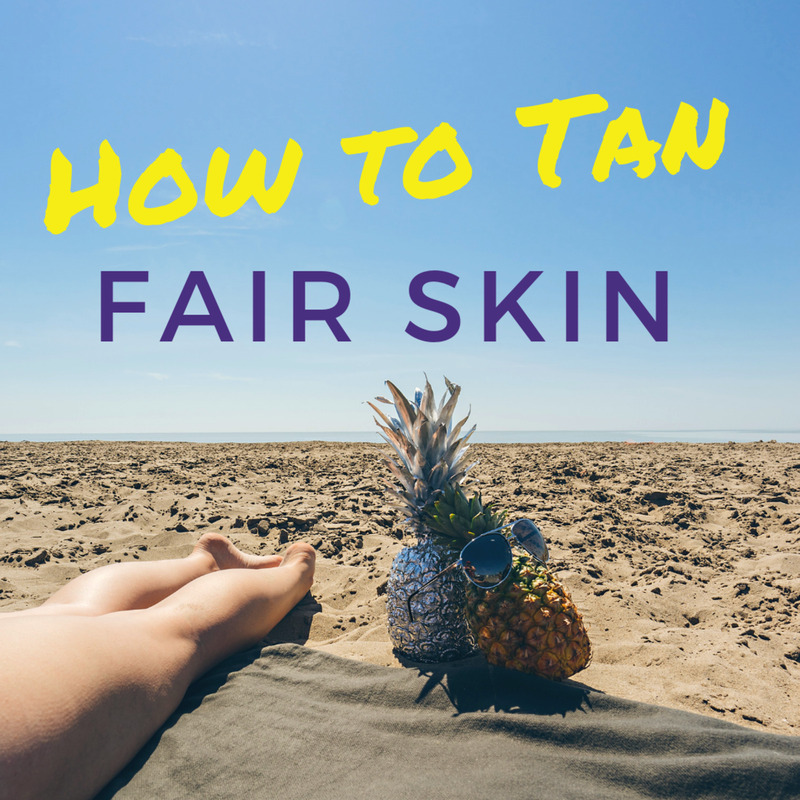 With that said, here are some tips for you to go back to the basics of skin care and choose better products to achieve naturally fabulous skin. 1. Wash your face in the morning and do not apply any products. 2. Leave your skin as is until at least the middle of the day. Oily skin: Your face will look shiny all over and looks oily with enlarged pores. Combination skin: If only your T-zone (i.e. forehead, nose and chin) is shiny and the rest of your face is not then you have combination skin. Dry or sensitive skin: You will see dry patches or redness on the skin. Your skin may also feel itchy and taut. Choosing the right cleanser can be a frustrating process as there are so many variations in the market. However, it is really not that difficult once you read beyond all those fancy words on the labels and realize that there are only a few types of cleansers out there e.g. cleansing foams, milk cleansers, oil cleansers, gel cleansers. The rest of the ingredients like antioxidants (e.g. green tea, vitamin C, Vitamin E) or alpha-hydroxy acids (AHAs) are there to provide some extra benefits which you can choose to add to your daily cleansing routine. Cleansing helps to remove makeup, dirt as well as to unclog the sebaceous glands (i.e. the glands that produce the oil on our skin). While cleansing is important, it is essential that we do not over-cleanse the skin as it acts as a barrier to keep pollutants out and helps to retain moisture. Over-cleansing can lead to dehydration of the skin which can cause premature aging and increase skin sensitivity (i.e. skin will become red, have rashes or pores could get inflamed and cause acne). 1. Rinse the face with warm water to loosen dirt and declog the pores. 2. Massage your face with the cleanser in small circular motion and leave it on for a few seconds to give it time for the pollutants to be dissolved. 3. Wipe your face with a face towel or tissue before splashing your face with cold water. Some products currently on the market are designed to make cleansing more effective and I find those quite helpful as most of the time I still feel rough patches on my skin after washing my face. Exfoliation will help to make the skin feel smoother but you should not be exfoliating every day, especially if you have dry or sensitive skin. I am currently using this silicon electronic cleaning device by Foreo and I am absolutely loving it because my skin feels super smooth after every wash and I find that it is very gentle on the skin. Foreo is currently a very popular brand for such devices and has received fantastic reviews, so naturally, there is a steep price tag to it. 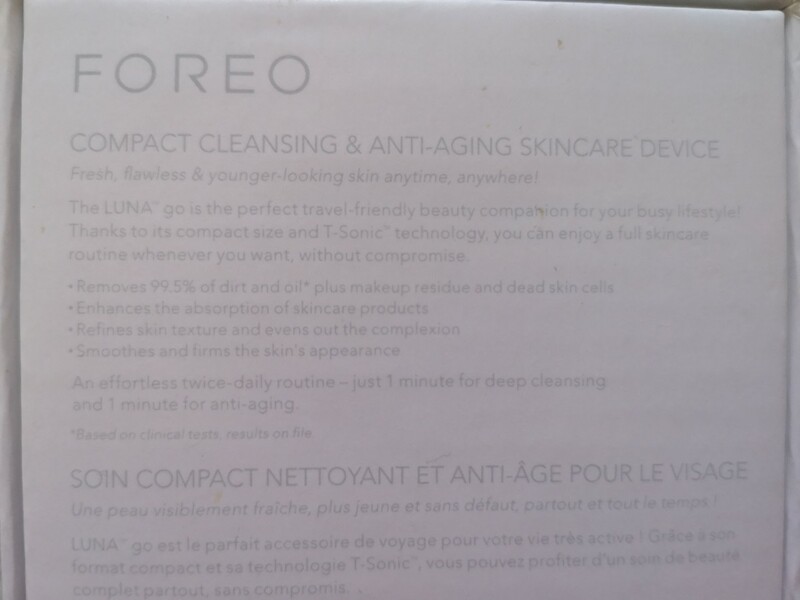 If you are interested in getting it and have some limitations to your wallet, I would recommend that you go for the Foreo Luna Play or Luna Go. 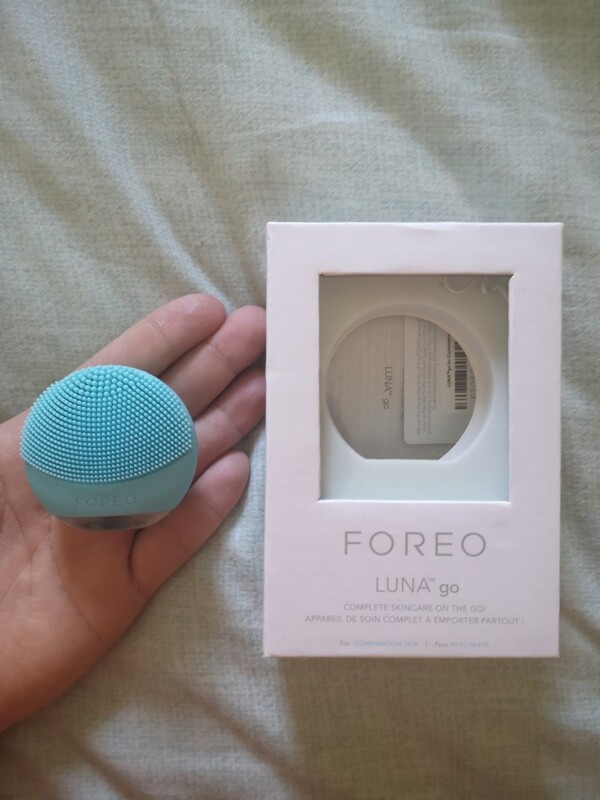 I am using the Foreo Luna Go which is compact (ideal for travel), rechargeable using USB connection (with the way I use it, a full charge can last me about 1 month of daily use) and I think it does the job just as well as the other Foreo range (which to me is just basically bigger, with a few more fancy functions and therefore costs more). 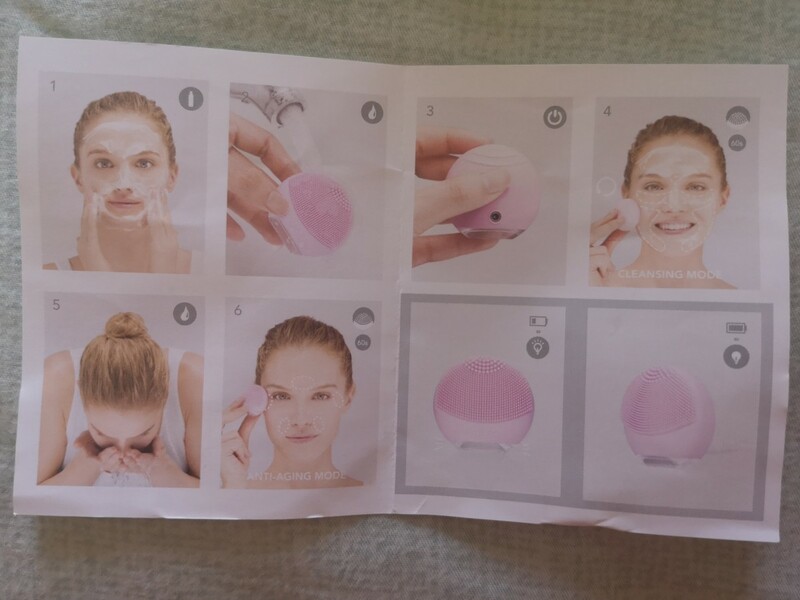 There are 2 modes available during each cleansing routine for the Foreo Luna Go - the cleaning mode and the massage mode, which promises to help reduce skin aging. The massage mode to me is a little gimmicky and I hardly use it, but its an added function if you think you need it. For sensitive skin, be wary of possible chemicals that can irritate your skin. These can include sulfates, parabens, artificial colors and frangrances, AHA, lanolin or alcohol. Toners are usually made up of a mixture of water, alcohol and botanic extracts, and the general difference between different types of toners is usually the alcohol content. 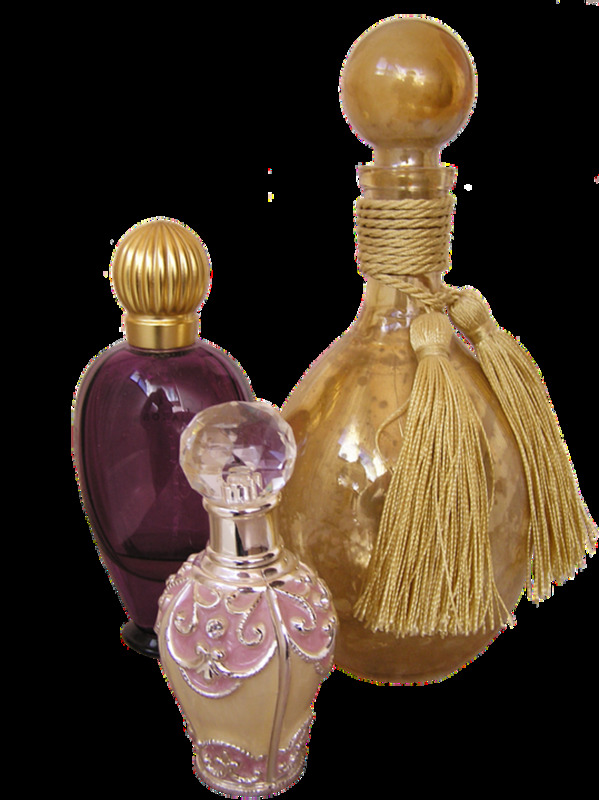 Some toners may also additionally contain fragrances and coloring agents to make the toner more appealing. However, do note that if you have sensitive skin, you should avoid toners with alcohol. The purpose of toners is to remove any leftover residue such as makeup, dirt or cleanser (usually my cotton pad will be dirty after wiping my face with the toner) and nourish the skin after cleansing. It also helps the skin to better absorb products that you would like to apply after (e.g. moisturizers, creams or serums). 1. After washing your face, dry your face with a clean towel before you apply the toner. 2. Start by putting some toner on a cotton pad and generously dabbing it on your T-zone area and lightly on the cheeks. 3. Next, apply toner on the forehead and the rest of the face and neck by using an upward sweeping motion. 4. Leave the toner on your face to air dry for about 2 minutes before you apply moisturizer. These toners have higher alcohol content. Therefore, it is more suited for oily skin. This is considered a midway between hydrating toners and astringent toners. It has some degree of exfoliationg effect. Essential oil toners are less common and include products such as witch hazel for oily skin and lavender for normal, dry or sensitive skin. Floral essence toners can include products such as rose water or calendula, which are soothing on the skin. There are many ingredients in our moisturizers and it is quite helpful to know what their functions are so you can choose the right kind. The best time to apply moisturizer is after you have cleansed your skin and apply the toner, and also while your skin is still moist. You should also wait at least 2 minutes before putting your moisturizer and remember to apply it in an upward direction. During my facials, I also noticed that my facialist will use her fingers to apply the moisturizer in a light tapping motion - according to her, this is to help activate the cells for better circulation and absorption. It is also important to change the type of moisturizer based on the environmental condition i.e. 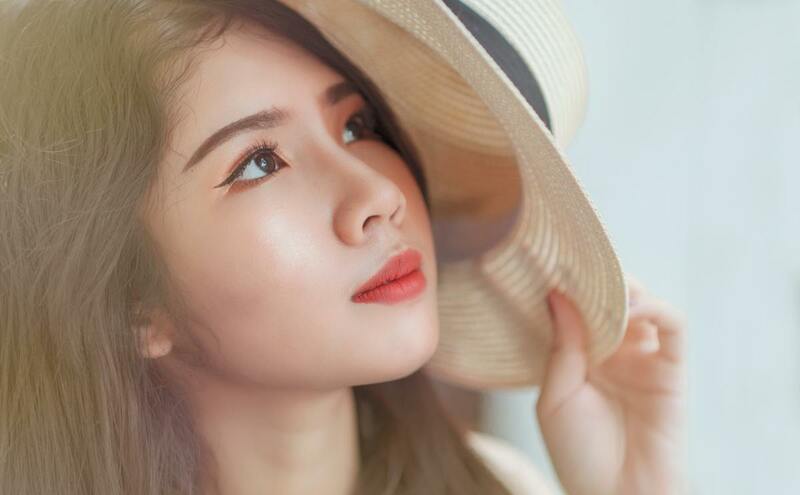 during warm or humid weather, you should use a lighter moisturizer and for cold weather, you should use a heavier, more nourishing moisturizer. 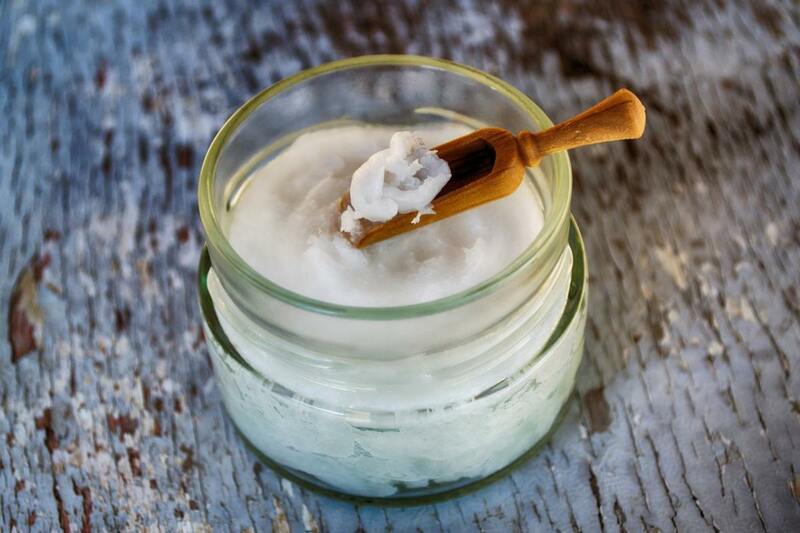 However, if you have oily skin, do avoid using heavy and thick moisturizers. 1. Use products offering sun protection (i.e. SPF 30-50 and ≥ PA++). However, do note that a higher SPF may not necessarily mean better protection. 2. Do apply these products 15 to 30 minutes before sun exposure and reapply every 4 hours. If you are perspiring or swimming, do reapply more frequently. 3. Try to limit sun exposure in the daytime (i.e. avoid the sun between 10 am to 4 pm). Cover yourself such as wearing a hat or sunglasses if you really need to be out. Just mix them up and use a little cotton bud to soak up the cleanser to wipe on your face. - For sensitive skin, you should try to avoid exfoliating. - For dry skin, you should exfoliate once a week and put on moisturizer right after washing your face. - For oily skin, do not wash more than twice a day. However, wash your face if you perspire. - For combination skin, you can put moisturizer in dry areas of your face. Lastly, you must also remember to take care of yourself in order to maintain radiant skin - and this includes getting enough rest, eating a balanced diet, drinking adequate water (i.e. 6-8 glasses per day), reducing stress, exercising regularly etc. There are no miracle products to keep your skin youthful and glowing if you do not take care of yourself as well from the inside! I have rough facial Skin - there is something rough when I touch my icheek area. How can i get rid of it? You can start with exfoliation if your skin is not too sensitive (I like to use Apricot scrub). However, as I mentioned in my article, you can try some new products in the market that you can use daily during your cleansing routine. 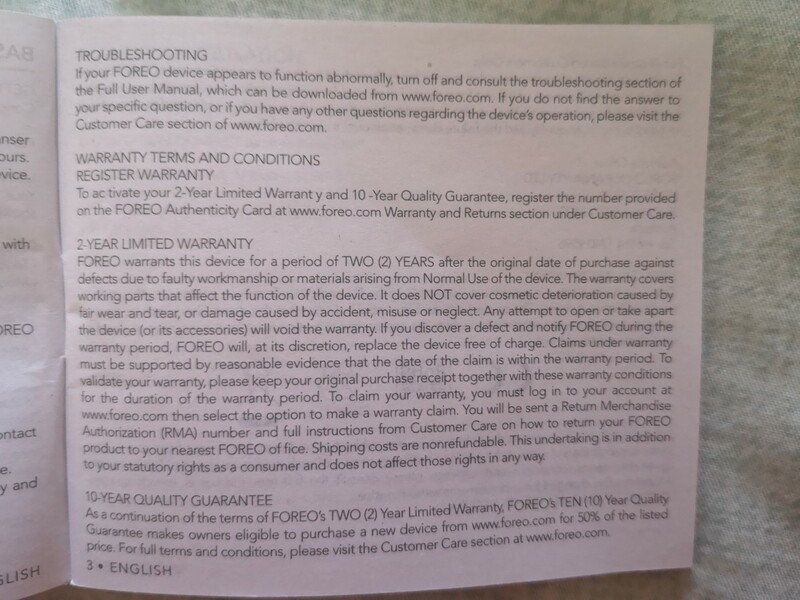 I use the Foreo brand device and it helps to remove some of the rough patches on my skin.